Many sport-dedicated headphones are available on the market. However, we are still seeking a model that can meet all user’s requirements, and thus offer comfort, reliability, and on top of everything stellar audio quality. 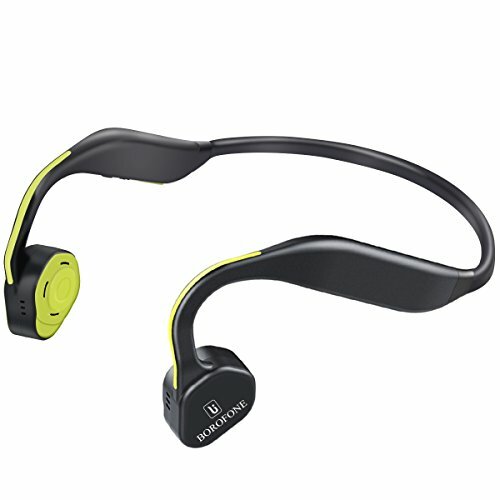 In this review, we will tackle the capabilities of Borofone bone conduction headphones. Borofone offers new, sophisticated design which transfers the sound through the cheekbones, as the company stated. Whether they are worth the hassle or not, and whether athletes can experience the full musical pleasure with those headphones, you can find out as you embark on a journey through this review. 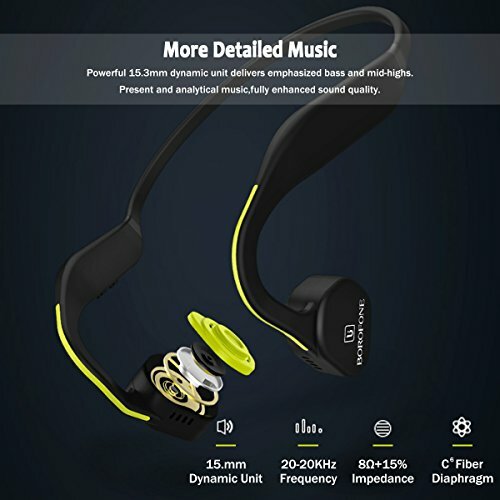 Bone conduction headphones sport wireless Bluetooth technology, sophisticated, but slightly insufficient battery life, and new technology which is supposed for headphones to stay on ears. We must agree that the headphones correspond to the latest, futuristic design trends. Bone conduction technology serves for headphones to firmly remain on user’s ears. That way, the received sound through the Bluetooth technology would get transmitted through the cheekbone to our ears and produce sound, as mentioned above. Such headphones likely compare to the traditional on-ear headphones, which are designed to press against the ear-shells firmly. Additionally, users won’t have to worry about headphones slipping off, and there’s much less pressure to the ears than it’d be if it were the original on-ear headset. Borofone Bone Conduction headphones connect wirelessly to your smartphone, laptop, tablet, or any other supported device via Bluetooth. More importantly, it is equipped with the Bluetooth 4.2 version, newer and more advanced version compared to other competing headphones. It allows firmer and stronger connection that won’t just cut, stronger and more reliable range, and thanks to the chips imbued in the technology, the user will experience a clearer sound output, more crisp and prominent midstage and highs. Additionally, better Bluetooth version also means that the battery will live longer. There’s nothing more unnerving than listening to the music in a hot gym, sweating because you’re working immensely hard until you realized that the wires of your headphones no longer transmit the music. That happens because many of the headphones don’t offer waterproof features. 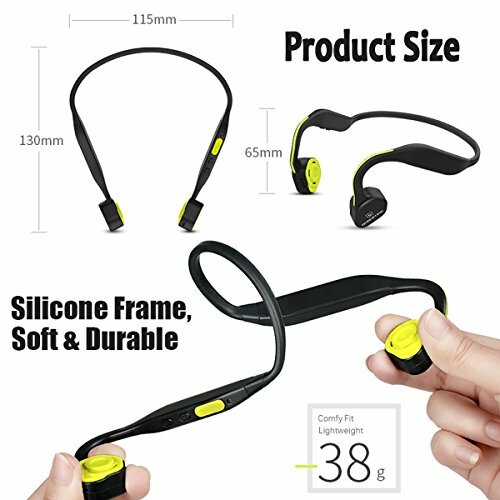 Nevertheless, Bone conduction headphones offer water resistance, meaning that they will be splash resistant, sweat resistant, and moreover, you will be able to use them when jogging in the rain. Of course, they won’t provide you with a good time if you throw them into the swimming pool, although IPX5 technology should protect them from every minor to moderate splash. The headphones are equipped with a built-in 180mAh Lithium-ion battery. The good news is that the battery recharge time is smooth. You will be greeted with fully recharged headphones within only two hours. The bad news is that the battery provides only twice as much of playing time. That being said, the battery will run out of juice within only four hours. Insufficient if you want to use the headphones for the traveling. Still, it provides 240 hours of standby time. Borofone conduction headphones more or less exceeded our expectations feature-wise. However, because of the weak battery despite advanced Bluetooth technology, we give it 4 out of 5. The Borofone conduction headphones look like a pair of headphones that are to bring the new design to the industry. Let’s dig in and check out what they consist of. According to the company, the open-back design is healthier and more comfortable for our ears. The truth is that the headphones that way will produce much more spacious sound. In return, it takes away the joy of noise isolation. If you are on a noisy bus or a gym, you’ll get to hear everything from your surroundings, which can be slightly discouraging for those really dedicated to shaping their figurine. On the other hand, others will be likely hearing the songs you are listening to. The headphones leak out sound which will disappoint everyone who is looking for some discretion and privacy between them and the music. The headphones consist of a Titanium alloy frame, and cushions which aim to provide comfort. The headphones could be slightly comfier, given that the frame tightly presses against the cheekbone thanks to the artificial, temporal bone. The headphones might not be perfect for carrying for hours, but the overall feeling is moderately comfortable, as long as worn reasonably. The company also promises that the rubberized pads will provide comfort to any shape and/or size of ears. The reason the German headphone manufacturer opted to host rubber on-ear pads is not only to cut the cost of the headset, but also to provide a sweating-free design which would be accomplished with leather pads which seem to make users sweat a lot, and even get redness and itchiness around ears. It’s never good that the headphones designed for sport weigh heavy or contribute to any type of discomfort in user. Thanks to the titanium alloy frame, the headphones won’t be heavy, measuring the only 38g. That being said, they are quite flexible and portable. Moreover, the ultra-lightweight design allows you to take them anywhere with you and forget that they are on you as long as you wear them for a reasonable amount of hours. The headphones are equipped with a fair and reasonable design. However, there could be more comfort and less open-back design. It is of critical importance for athletes to have their peace while working out. It is well-known that gyms and streets are loud environments and can’t really leave users private with their favorite music. We give them 4 out of 5 for design. The features and design of the conduction headset are of extreme importance to the overall experience with them. But it’s their soundstage, general performance, and durability, followed by the microphone that works wirelessly via the Bluetooth technology. Headphones sound respectable, although it is noticeable that they don’t match the sound quality of the competition. When it comes to the bass, it’s dynamic, and quite deep, although not so noticeable on headphones that sport the open-back design. Nevertheless, people who are entertained by bass will enjoy hearing it coming from these headphones. There is little to no harmonic distortion, which is good, given that the headphones provide strong and spacious sound. They are ideal for listening to the rock music, although you will find joy in other genres as well. It’s important that bass is powerful, and yet, it doesn’t run over the midstage and highs. When it comes to the soundstage, Borofone Bone Conduction headphones have a rich soundstage with wide range. The mids are prominent, all thanks to the CSR chips located in the Bluetooth technology which enrichens the sound. The highs are vivid, dynamic, detailed, and clear enough. Considering that the headphones offer open soundstage, it is understandable that they are designed to transmit loud, yet stellar audio output. It is important to note that the vocals are having quite an accent, but it won’t hurt if you prefer instrumental music. Perhaps, it won’t sound as perfect as Bose’s, Sennheiser’s or Phaiser’s headphones, but it definitely fulfills its purpose. The headphones come with a wireless microphone, ideal for making calls and giving voiced instructions to your Google Assistant or Siri. The microphone is sufficiently loud, but it won’t make as much clarity as other microphones. 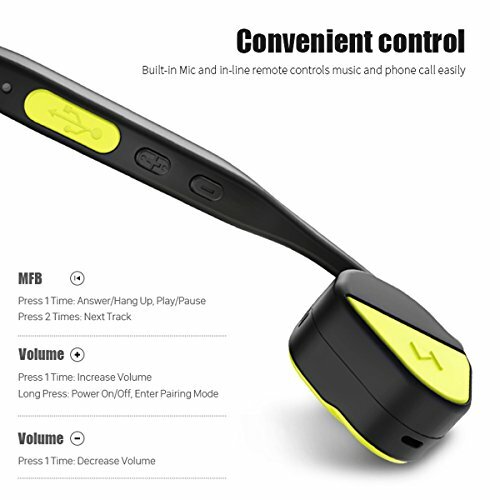 There are also controls which allow you to answer the calls, and play or stop the music, completely hands-free, activate the Bluetooth connection, and of course, volume controls. The performance is stellar, although we would appreciate less of sound leakage which is as expected with the open-back design. We reward the performance of these headphones 4 out of 5. The headphone market is very rich, and sometimes too rich which makes picking the perfect pair of headphones more than challenging. For everyone restricted on budget, but also adventurous enough to try out new things and experiment with the design, Borofone delivers comfort and quality in an innovative design. Still, there’s yet time to pass before this design takes over the in-ear design, 4 out of 5. Borofone bone conduction headphones are definitely the spotlight at the beginning of 2018. Different headphone manufacturers are looking for a way to establish new wearing styles, which would make it easier on athletes, and also others exhausted from having headphones fall off. If you can overcome their minor defects, they can be a great mid-budget option, with other sports headphones ranging from $100+. Borofone bone conduction headphones are something that has recently become popular on the market, and we had to try it out. The new design equips an artificial bone which conducts the sound through user’s cheekbone towards the ear. 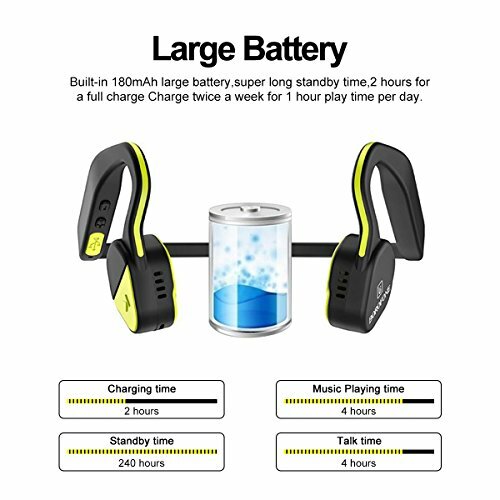 It sports various features of which many are exciting such as water resistance, new Bluetooth technology, rich soundstage and comfy design. However, the sound leakage and weak, unreliable battery disappointed us.